What's this? Indoor photos? I don't love how they look, but the only time I had to take pictures last week was when it was super bright outside, so I had to improvise. I had had this dress that I borrowed from Jessica (AKA my blogging/life soul mate) sitting in my room for far too long, so I decided it was time to take it out for a spin before sending it on to the next Flock Together girl. Well, this was actually the second time that I put it on. The first time, I wore it to hang out at my brother and sister-in-law's house, and I actually took photos in it. Because I'm overly critical of myself, I decided that I hated how I styled it, and wore it one more time before mailing it out. This time, I went simpler, and I like it much better. When in doubt, this trusted jacket and blue wedges never fail. Despite my weird struggle with it, I can't get over this dress. 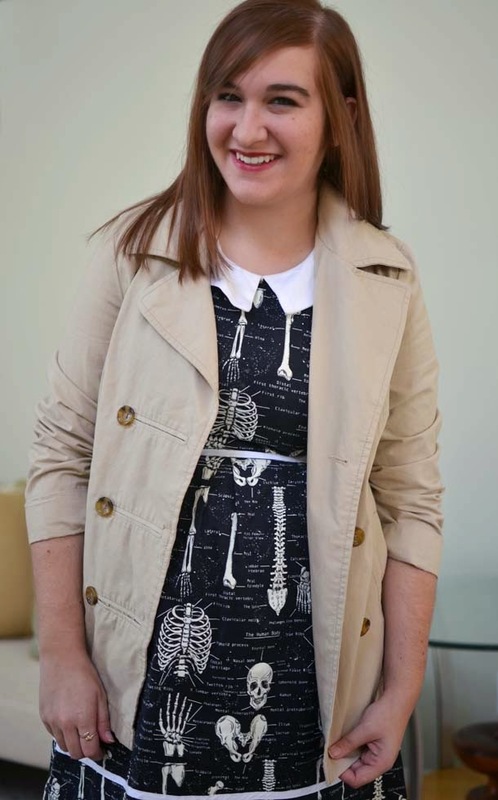 The fit is to die for, and the skeleton print is the best. 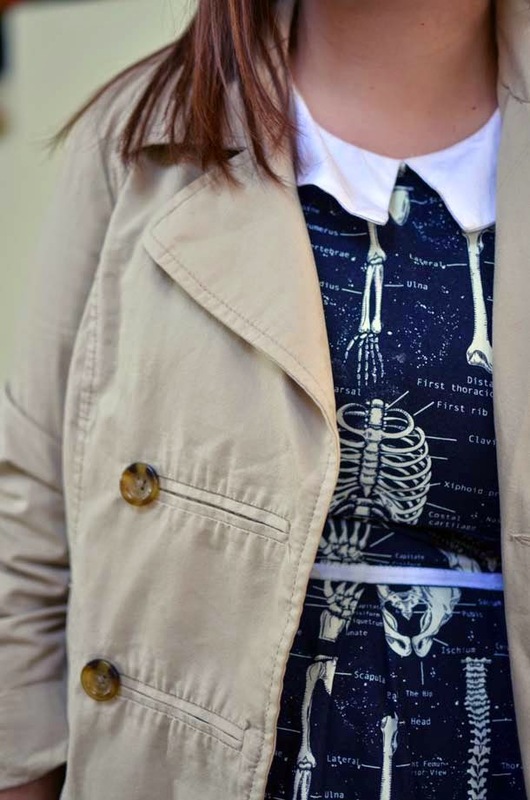 Who knew that skeletons and collars would be such a match made in heaven? If you're wondering, my weekend was fairly uneventful. My friends and I watching The Imitation Game on Friday night, which was great. I wasn't sure how I'd like it since it looked pretty cut-and-dry/period piece/Oscar bait, but it was fantastic. That Benedict Cumberbatch is something. Since my life revolves around pop culture, I also spent the night before having "Bingefest 2015" with my friend Jon, which included pizza, beer, and binge watching too many episodes of Mr. Show and Community. This is what people do when they're basically unemployed and need distractions from adulthood. Okay, I probably would have done that even if I had a job and wasn't freaking out about adulthood. I like this coat you styled it with. Very nice. Ahh that dress is the cutest!! I'm freaking out about adulthood too. It's cool. I do a lot of binge watching in my underemployed free time too! I need to see The Imitation Game asap. I'm trying to see as many of Oscar nominated films as possible before the awards show. Also this dress. I hope I'm next on the borrowing list because it's so super cool! I love that it's both dark/edgy and ultra cute at the same time. I like the blue shoes you paired with it and that classic jacket looks great too. 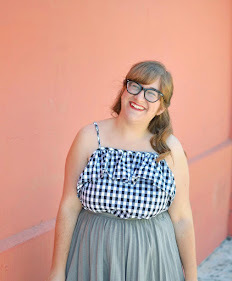 I've been eyeing this dress on ModCloth for ages. Ahh! If I remember correctly, it glows in the dark too! Sigh. But I can't afford it right now, and I think it's sold out in my size, anyway. Boo. This dress!! It's so freaking awesome! 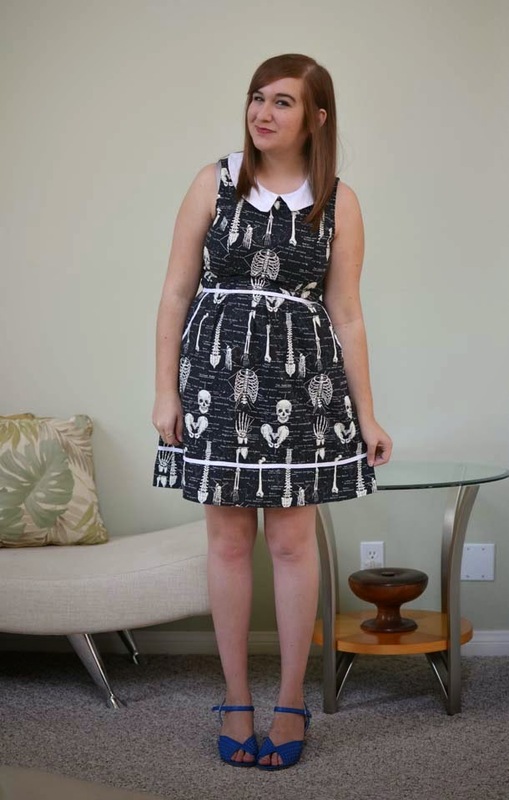 This has got to be the coolest print I've seen on a dress ever! Not to sound like a total white girl, but this dress makes me say "I CAN'T EVEN!" You will forever need distractions like pizza, beer, and binge watching from adulthood. Love how you styled this in a totally unique direction with the trench coat and wedges- super cute!